We’ve got a new Student of the Month! Bethan is one of our Violin Students and has been coming to Sweet Symphony for over 2 years now. She’s busy working towards her upcoming Grade 3 Violin exam, which is coming up in just over a week here at the Studio! 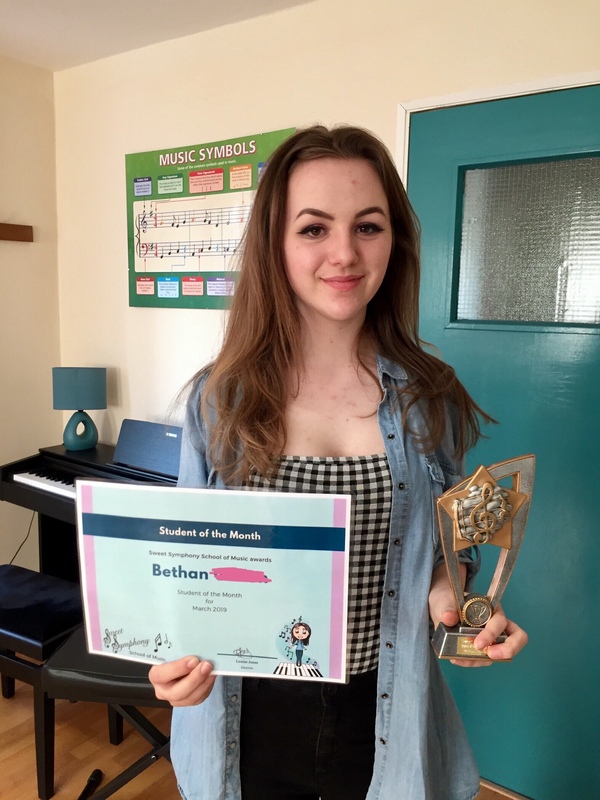 Her teacher Ray has nominated her for the March award as he says that he has seen huge improvements – both technically and musically – in Bethan’s playing since she started preparing for her exam, and that every week he can see evidence of progress. Absolutely glowing review, Bethan, well done! We’re sure that your practice will pay off with a great exam result next week, but in the meantime a big “Well Done” from everyone here at Sweet Symphony!